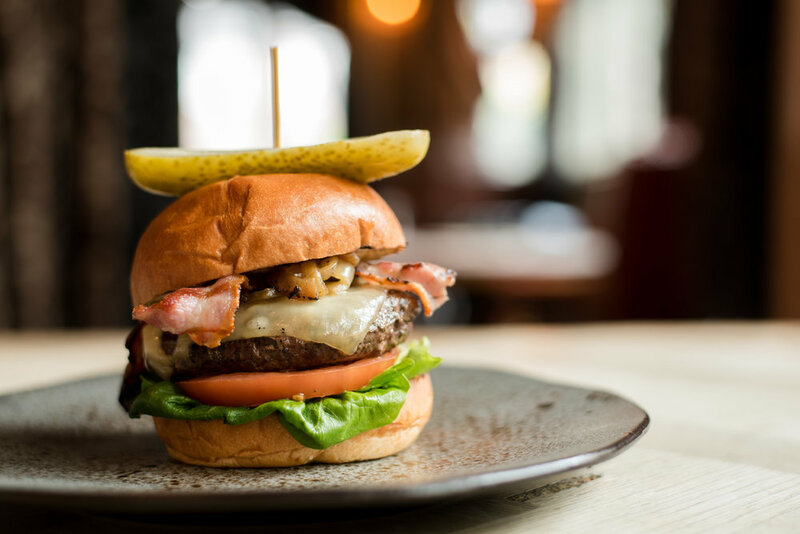 Here at The Old Ship we make all our burger patties in house from scratch using beef from our favourite local butcher. We use a great local bakers to supply our brioche buns. ,No matter what night of the week it is, The Old Ship serves up some delicious cocktails. Choose a classic, like a Negroni or Old Fashioned, or if you are feeling adventurous why not try one of our bartender's concoctions, like a Japanese Snow Queen made with Nikka Whisky, elderflower, lime and lemonade. Rotisserie chicken. We brine and marinade all our chicken in house. Choose two sauces with your quarter, half or whole rotisserie chicken. Sweet soy, BBQ, Dalston Chilli, aioli, curry butter. Grilled burgers with house slaw and salad. 241 on Mondays and Tuesdays! Stay the night in our hotel and enjoy Hackney's best cocktails in our bar. A stylish inn set above a pub in East London's trendy Hackney neighbourhood. All rooms have free WiFi and are en suite. There are complimentary tea and coffee making facilities in all rooms, and the option to add a cooked breakfast to your stay. Accommodation has 24-hour access, with the bar opening until 1am on weekends. The ongoing development in Hackney Walk provides the opportunity to visit a number of designer outlets less than 5 minutes walk away, including Burberry, Nike, Aquascutum and Pringle, with many more on the way. Locally, there is an abundance of small shops and restaurants within short walking distance. We recommend heading to Broadway Market, with its varied selection of boutique cafes, restaurants, pubs and bars, as well as the renowned food market on Saturdays. Take a picturesque stroll through London Fields Park on your way to this local gem. If your stay falls on a Sunday morning there is also the ever-popular Columbia Road flower market. Here you can find a global range of flowers and plants plus vintage shops for furniture and clothes. Head further East towards Victoria Park and explore one of London's biggest green spaces. Here you can rent pedalos, and enjoy all kinds of sporting activities. The area hosts annual music festivals in the summer, and Winterville in the months leading up to Christmas. Looking for a lively late night bar, trendy speakeasy or nightclub until the early hours? East London nightlife caters for all needs, with Hackney venues offering regular DJ and live music events. Dalston has a larger selection of restaurants, bars and clubs and is a quick 10 minute train journey, or 15 minutes on the bus. Bethnal Green Road (train and bus, 15min), Shoreditch/Old Street (train, 20min; bus, 25min) and Angel (train, 30min; bus, 40min) all have a great selection of pubs, eateries and vibrant nightlife on offer. Getting around couldn't be easier, with Hackney Central a 2 minute walk away. From there, catch trains to Stratford (Westfield shopping centre) and Dalston Kingsland in around 10 minutes. If you want to venture further into Central London, head to Highbury & Islington and switch onto the Victoria Line straight into Soho. Alternatively, hop on the 55 bus to Oxford Circus via Shoreditch. London Fields station is also around a 5 minute walk away and takes you straight into Liverpool Street (The City).